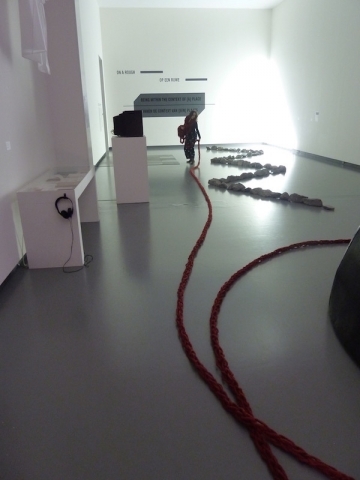 The work explores the in-between stretch of time between the Beginning and the End. 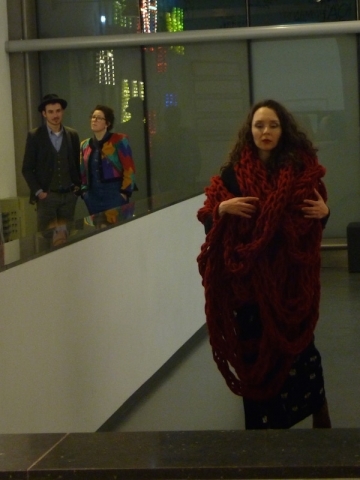 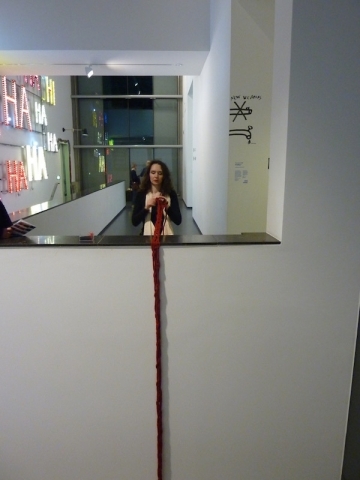 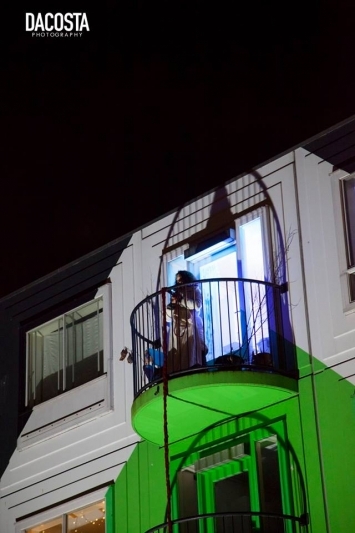 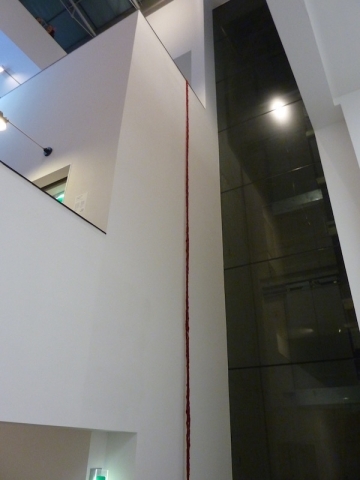 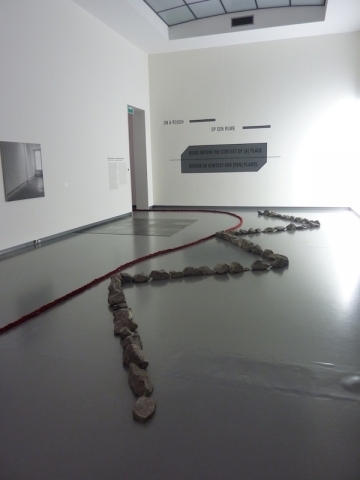 In other performances, Hessy has also knit with her own body, slipping thick red thread from one arm to the other to create long chains of knit that draw a dynamic line down multistory walls in various museum settings. 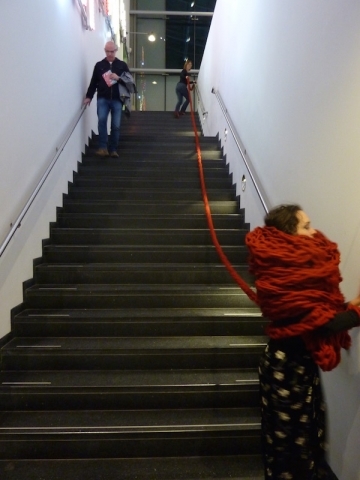 The artist carries her giant cache of yarn in an oversized bag around her own neck that touches her feet: noose and medallion at one and the same time.